so the question is: What calendar options are there in Calc? I have a sheet that just has a column with each day of the year and a column next to it for comments next to each day. 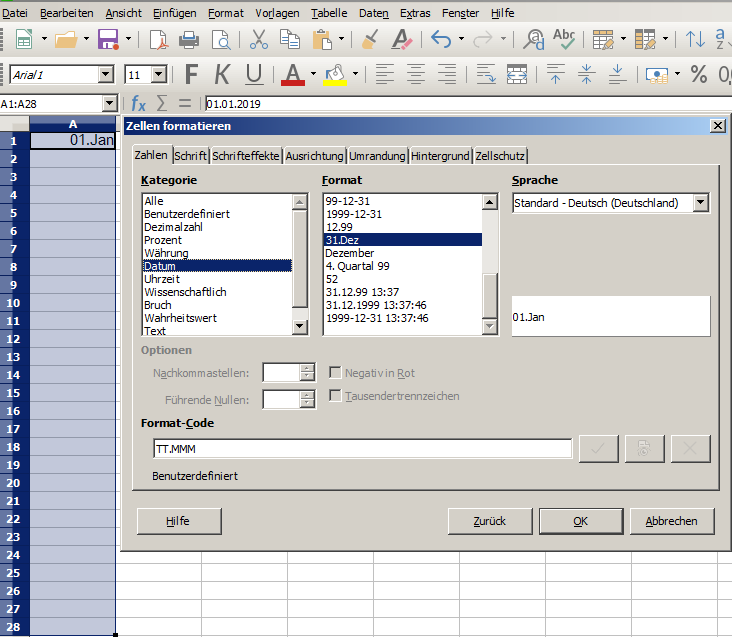 Currently I set the dates manually. Is there a way to auto-populate a column with dates? i allready have had a closer look at Autofill in the offline help. On a sheet, click in a cell, and type a number.